Striking Taylor dress. 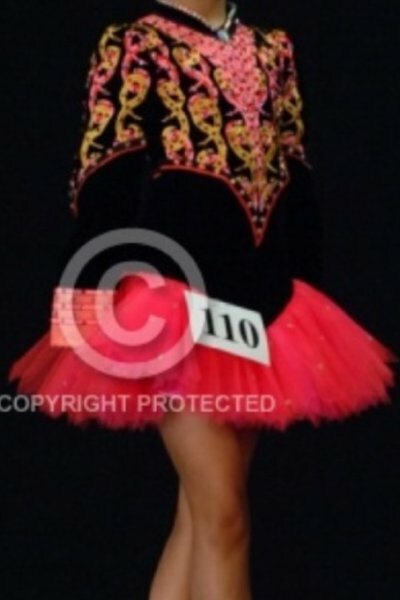 Black velvet bodice with gold, pink and orange Celtic knot embroidery with orange/pink tulle skirt. Covered with Swarovski diamonds. Comes with kick pants and headband. Asking Price: £550 ono. Shipping costs are included for my own country, overseas shipping is extra. Sale is final.